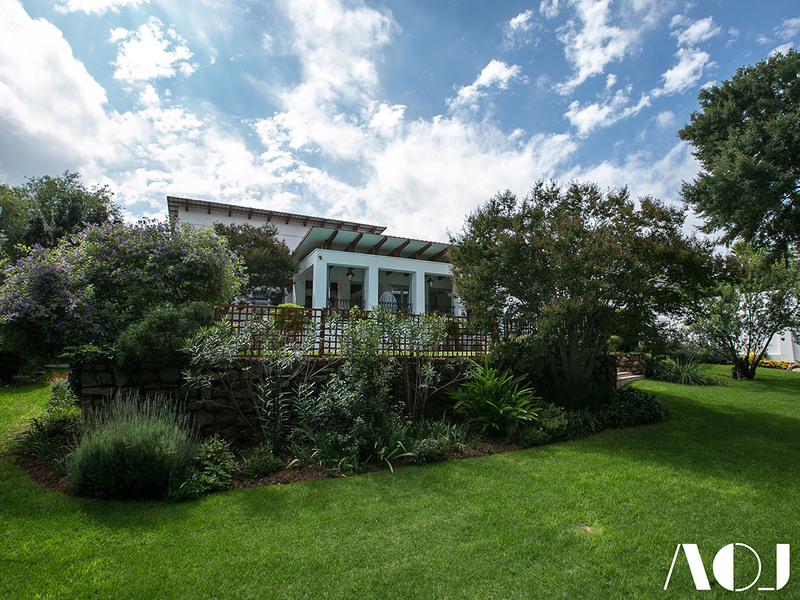 Located in the Johannesburg suburb of Craighall Park, stands the home of the young family Close. 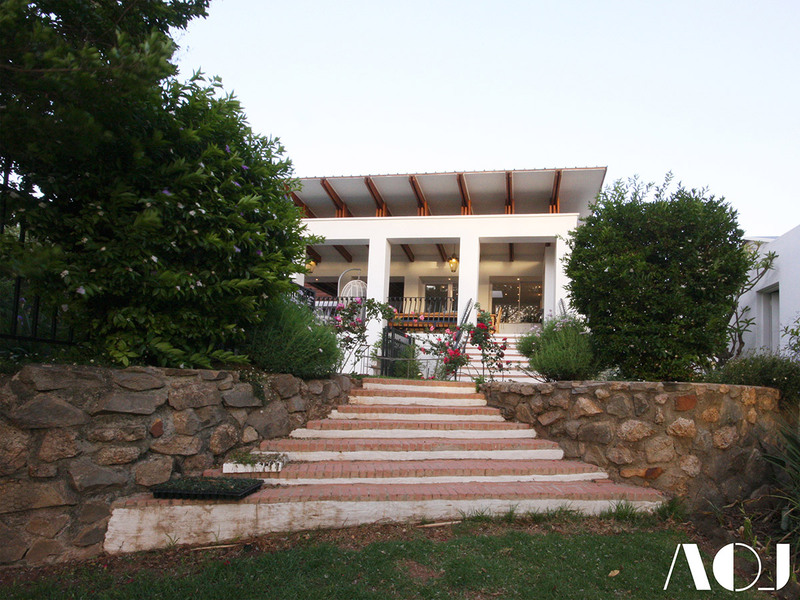 The property was purchased for the large garden, and because it clearly presented opportunities for remodelling and expansion of the existing house. 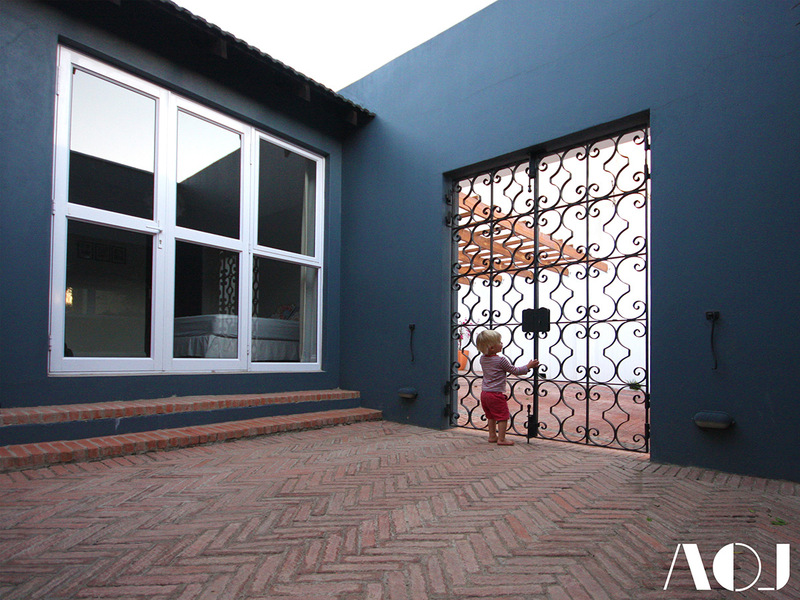 In 2011 Christine Close, approached the Architects Of Justice with a desire to make an upmarket alteration and addition to the house, the most basic request being that her, and her husband, wanted to live in a Spanish hacienda, an idea which was soon re-interpreted by the AOJ team and contextualised into the South African paradigm. Taking Spanish design principals into consideration, and how these could be adapted to the South African context, the architects identified firstly, as in most Mediterranean countries, that a majority of the Spanish people, living outside of cities, occupy homes which have an intrinsic relationship with nature. 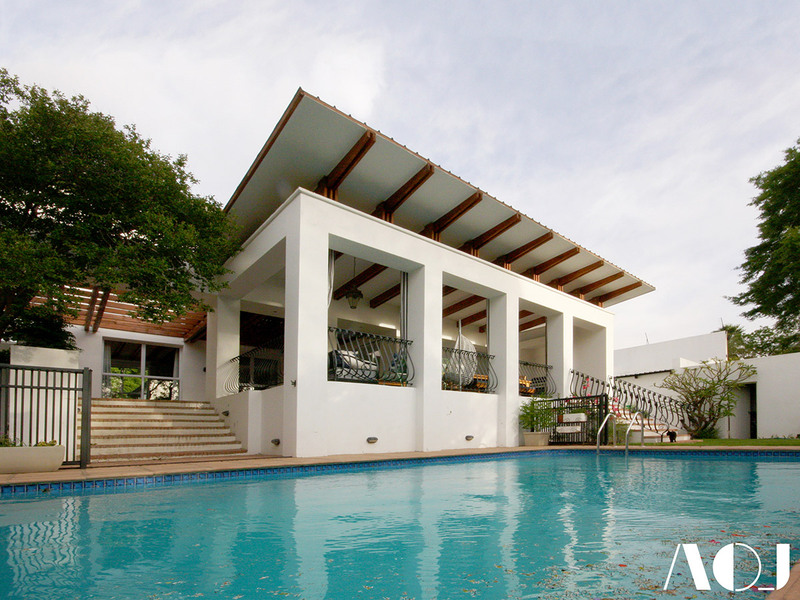 The interiors are linked to large open outdoor spaces often used for family gatherings or to simply enjoy the temperate climate. Secondly, in more densely organized Spanish suburbs, courtyards are used to maintain privacy from passers-by and as a way to define personal green space. These two principals quickly became the underlying concepts behind the design. 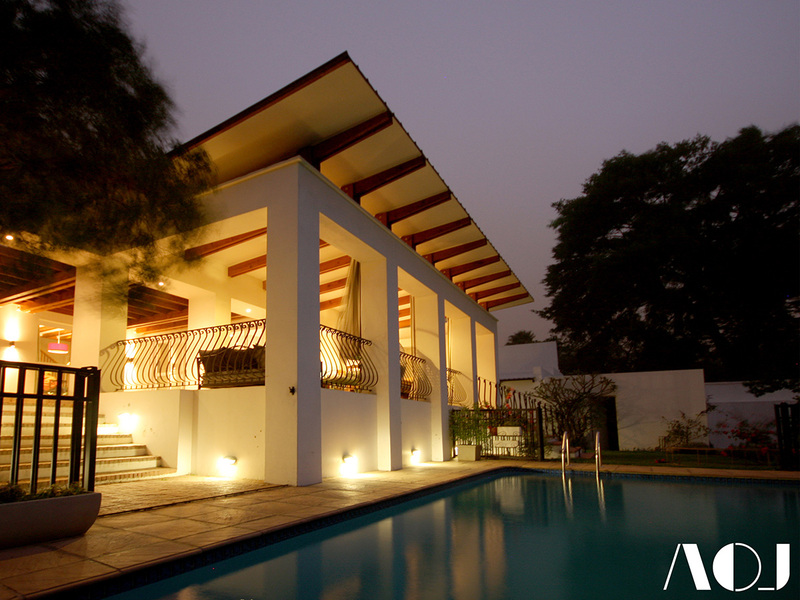 The Close’s requirements were simple; the finished home needed to have ample living space, bedrooms, utility areas, make maximum use of the expansive garden and have a reinforced sense of entry, all while keeping to a rather tight budget, as well as have the opportunity for phased growth. 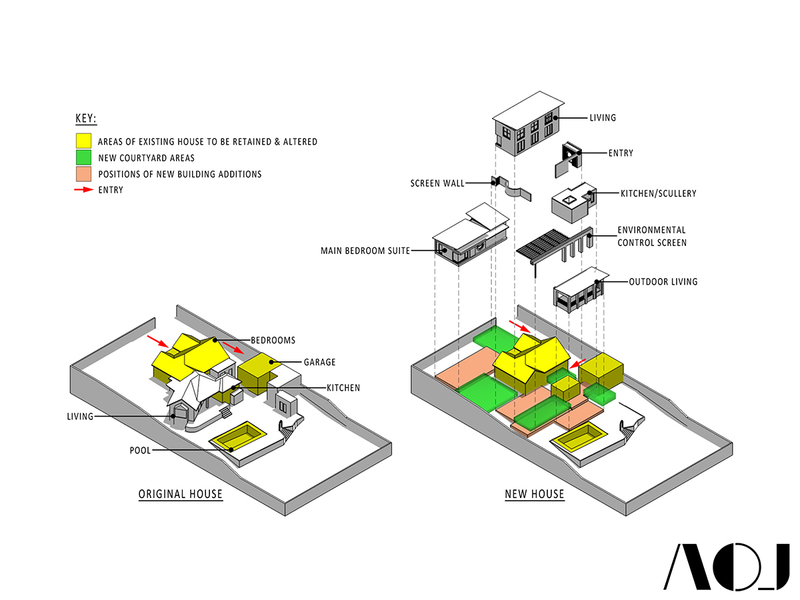 In starting, certain areas within the existing house were identified as spaces to be retained, or to only have minimal change affected upon them. This immediately reduced the risk of running over budget as a large part of the spatial program could be distributed here for little cost. The remaining areas were regarded as obsolete and marked for demolition. The additional required spaces, which were not part of the existing structure, were then designed as completely new components and grouped within the existing spaces around open courtyard spaces. These courtyard spaces were then organised and sized to best suit the relevant activities and to further layer privacy within the home. The design is extremely efficient in terms of climatic control. The separation of volumes reduces the need for heating and cooling technologies. 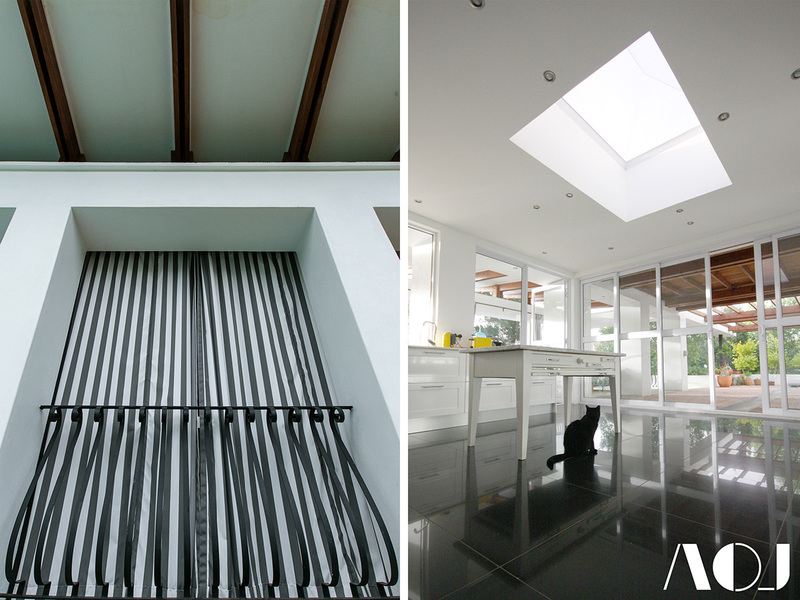 Cooling of the various spaces is simply achieved by opening doors and windows to allow air currents to passively ventilate the interiors. During colder days, because of the appropriate north orientation, the sun can be let in through the large openings, further assisted by performance glazing. 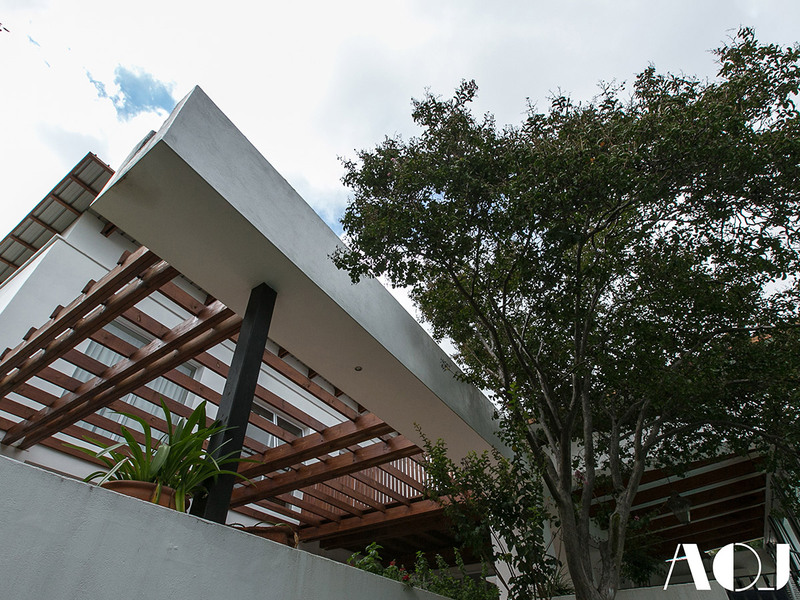 The separation of the building volumes allows for multidirectional connections to the outdoors, which not only improve environmental control, but offer generous views into the garden from pretty much any room in the house. When considering the use of materials, a concerted effort was made to retain some of the existing character of the original home. The existing parquet floors were refurbished and reclaimed parquet flooring was sourced for the new spaces within the house to tie the old and new together. 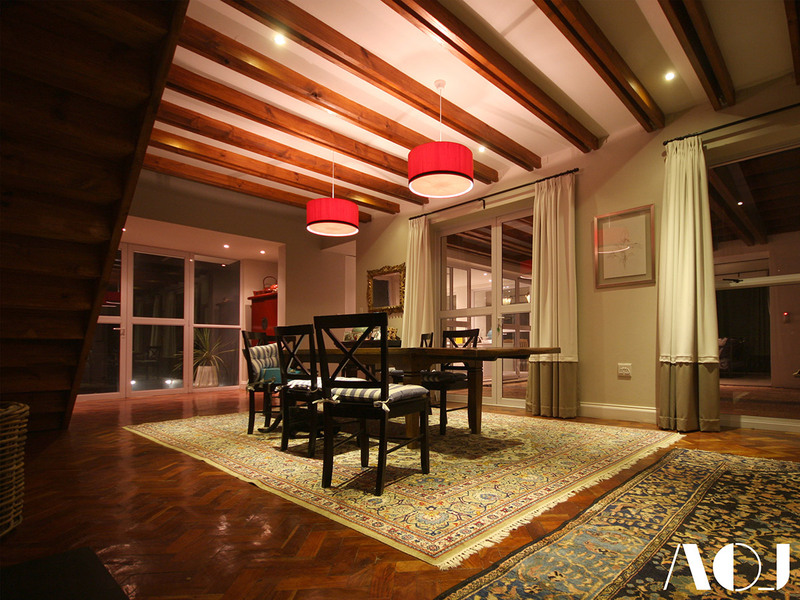 The use of timber was echoed above by exposing the roof supports in the new indoor and outdoor living spaces. The use of smooth white plaster on the exterior walls improves the thermal properties of the building, by reflecting unwanted heat away, and though it may appear bland at first, was most purposefully chosen as a way of complementing an architectural language that is defined by beautifully balanced proportions, and achieved with simple construction methods. 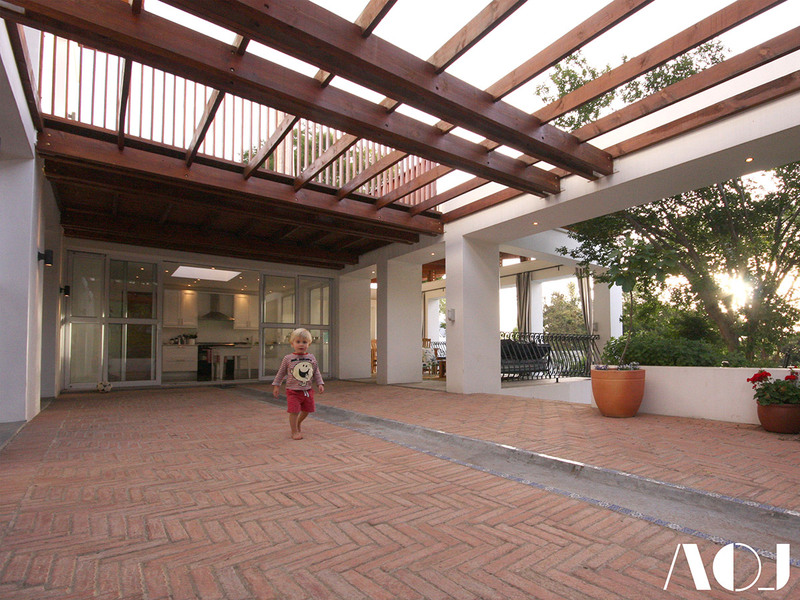 In contrast to this, a few well-crafted design details that required special attention were introduced; wrought iron security gates and patio balustrades as well as narrow terracotta clay pavers laid in a fishbone pattern echo the underlying Spanish theme, and the tectonic connections of the roof timbers and pergola structures in the outdoor living spaces give the house a contemporary feel. 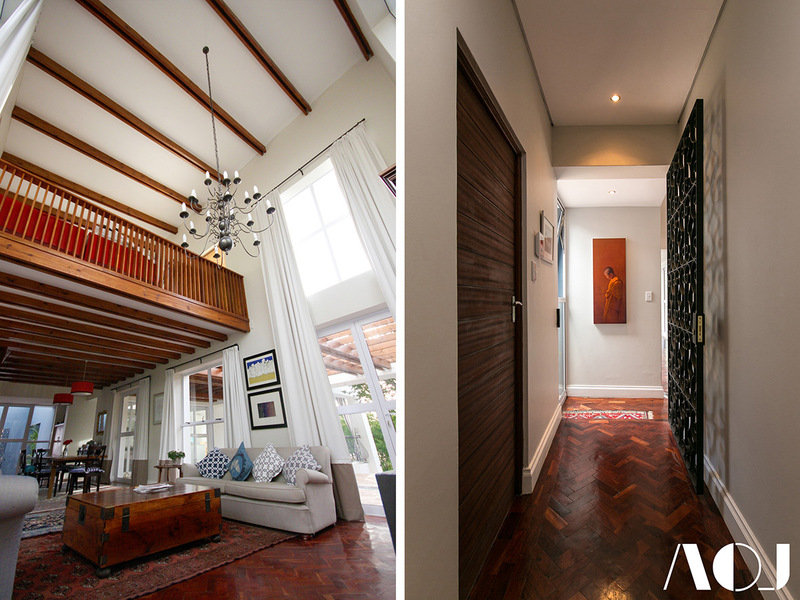 These, complemented by tastefully eclectic interior finishes and furniture pieces, chosen by the client, make for a personalised home in which the Close family is certainly happy to remain in for a long time to come.